Coveted Casa Solana Stamm home. Enter into a lovely perennial garden full of flowering plants and trees, completely enclosed by a coyote fence. Once inside, the warmth of the home consists of a gracious living room with fireplace, smooth oak floors and soft, creamy colored walls. The home has been tastefully renovated with new wooden windows with custom mill work, two sumptuous baths with tiled floors, updated electrical and plumbing systems, evaporative cooling, newer domestic hot water heater and furnace. Along with three good sized bedrooms there is a wonderful den with a red brick fireplace. It is a great place for entertainment, family get togethers, library or in-home office. In the backyard there is a covered barbeque area, space for outside living and garden. 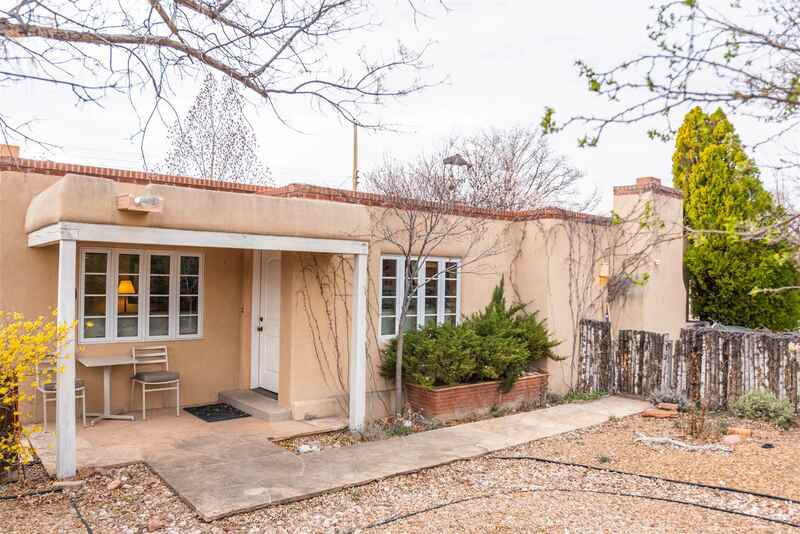 Close proximity to the rail yard, farmer&apos;s market and all that Santa Fe has to offer. Directions To Property: West Alameda To Placita De Oro.